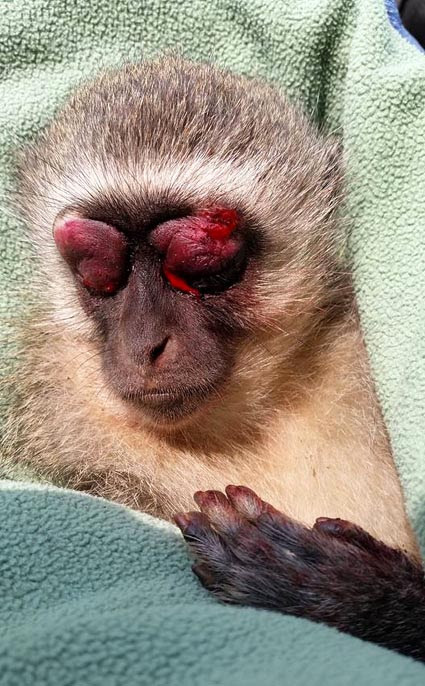 SOUTH AFRICA -- Glen Anil is a ‘hotspot’ for vervet monkey deaths. This according to Steve Smit of the Monkey Helpline, who had to euthanise yet another vervet after it had been shot with a pellet gun yesterday. Smit was outraged by the incident and said that it had been a deliberate attempt of the shooter to kill the animal. “It is clear that the shooter shot with the intention of killing the monkey. It was not a child, like some people have suggested. It is someone who has done this before, someone who knew what to do,” he said. The animal activist said that they were regularly called out to pellet gun shootings, hit-and-run as well as dog attack incidents involving vervets in the area. Two pellets were found lodged in the back of the animal’s skull. They had entered the cavity through both the eyes, ripping through her brain. Shockingly the monkey was still alive after the attack. The two-year-old female was reportedly spotted, disorientated and mentally incapacitated sitting on a concrete boundary wall on Cypress Road, amidst strands of barbed wire, by resident, Diane Whittaker. She immediately alerted the rescue organisation. After capturing the injured primate and rushing her to veterinarian, Dr Kerry Easson, in Riverside, their worst fears were realised – she would have to be euthanised due to the extent of her injuries. FLORIDA -- A woman and a kangaroo wearing a diaper walk into a McDonald's, and the woman says: He's my service kangaroo. No, it's not the setup for a joke. But it may be a sign of the times. 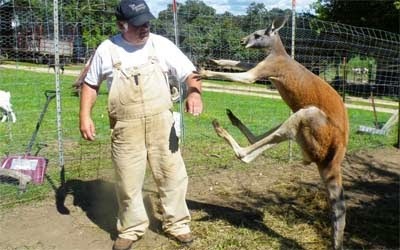 In a culture that has increasingly embraced animals as an extension of family, the kangaroo incident earlier this year seems to be part of a growing problem. With pigs flying — literally — aboard passenger flights, monkeys cruising the grocery aisles and large snakes hanging out in restaurants, the issue of what's legitimately a service animal for someone with a disability can get murky. business and doesn't think that a snake can be a service animal. 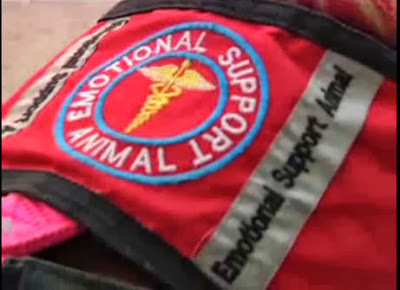 "A lot of people don't understand there's a distinction between a therapy animal and a service animal," says Dr. Rick Marrinson, owner of Longwood Veterinary Clinic. "And because of that confusion, I worry that the people who abuse the law are ruining it for the people that really need it." In Beaver Dam, Wis., for instance, the woman with the kangaroo ultimately sparked a call to police, and officers asked her to leave. But two weeks ago in Missouri, a man with what was thought to be a boa constrictor casually lunched at a Mexican cafe, claiming the snake helped him cope with depression. The owner told reporters he thought the patron had a legal right to his "service snake" and couldn't be booted out — despite the fact that other customers hurriedly left. Elsewhere there have been parrots, ferrets and flying squirrels that allegedly disrupt panic attacks, alert their humans to impending seizures or allow people to overcome such disorders as agoraphobia. The help those critters provide may — or may not — be real. Regardless, federal law doesn't recognize those species as having access rights to public spaces and private businesses, though state law can. service dog, I'd provide the proof instead of whining about it. 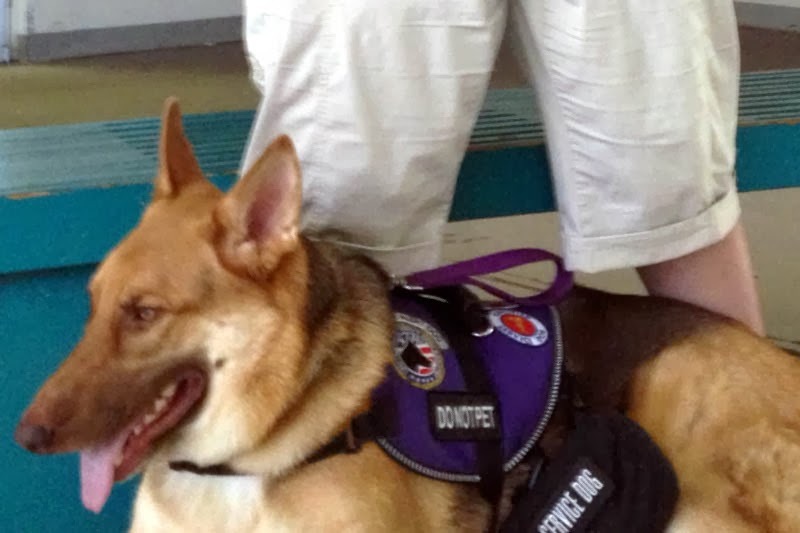 Two years ago, a campaign to crack down on phony service dogs, backed by Central Florida groups that train canines, appealed to the U.S. Department of Justice to intervene — to no avail. The proliferation of official-looking doggy vests bought online, the groups said, allowed badly behaving pooches to show up in restaurants, hotels and theme parks, hurting the public image of their legitimate counterparts. 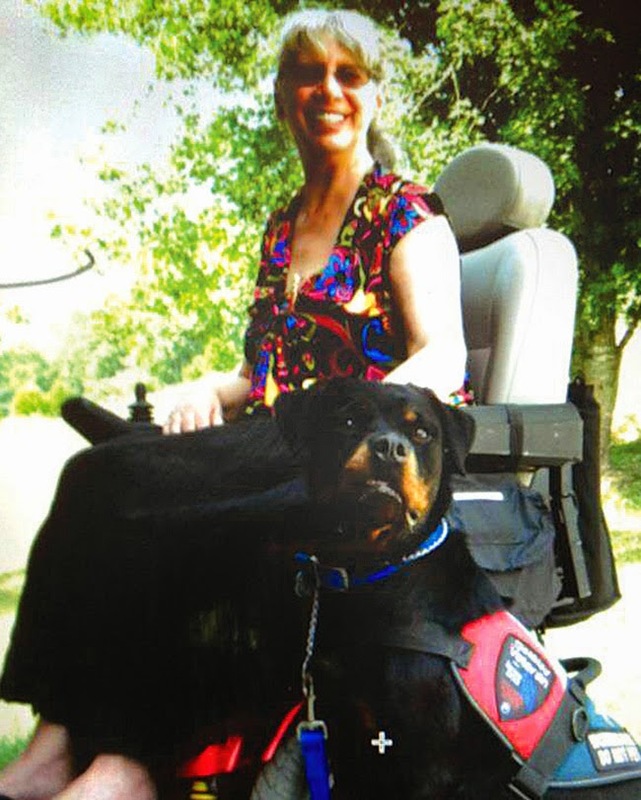 Under the Americans with Disabilities Act, or ADA, only dogs and in some cases miniature horses can be considered service animals, and those must perform specific tasks to aid people with disabilities — such as guiding the blind, alerting the hard of hearing, pulling a wheelchair, retrieving objects or interrupting impulsive or destructive behaviors. 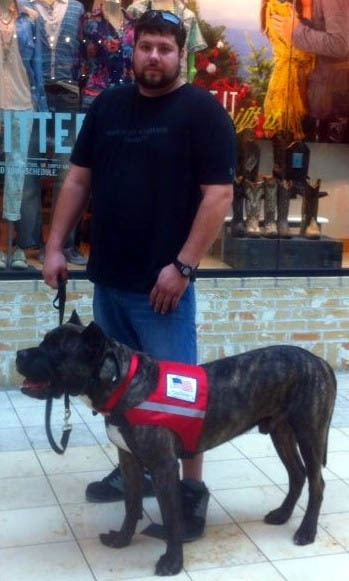 Vietnam vet's 300-pound "emotional support"
But the law also says a business owner or employee can ask only two questions of the person: Is the dog (or miniature horse) a service animal required because of a disability, and what work or task has the dog been trained to perform? You can't ask for documentation, require that the animal demonstrate its service or ask about the nature of the person's disability. Further, there's no universally recognized vest the animals wear nor central agency to certify their training. And that, says Kevin Fritz, a Chicago attorney on ADA public accommodations, can make matters fuzzy. 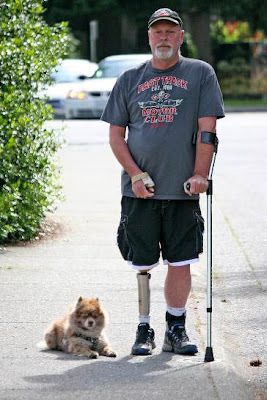 "Every time an animal is deemed to have some health benefit, people become more imaginative in their claims," he says. "And it becomes even more confusing because individual states can have broader definitions than the federal law in allowing other species to be service animals." Florida follows the federal law, limiting service animals to dogs and miniature horses, and Fritz says it's one of the few states to crack down on abuses, at least for those who get caught. Earlier this year, legislators made it a second-degree misdemeanor to misrepresent yourself as disabled in order to bring your animal into a public facility or business. Punishment is a $500 fine, up to 60 days in jail and 30 hours of community service for an organization that serves people with real disabilities. That wins the approval of guys such as P.J. Suss, a 26-year-old Orange County resident who breeds and sells snakes, specializing in ball pythons. 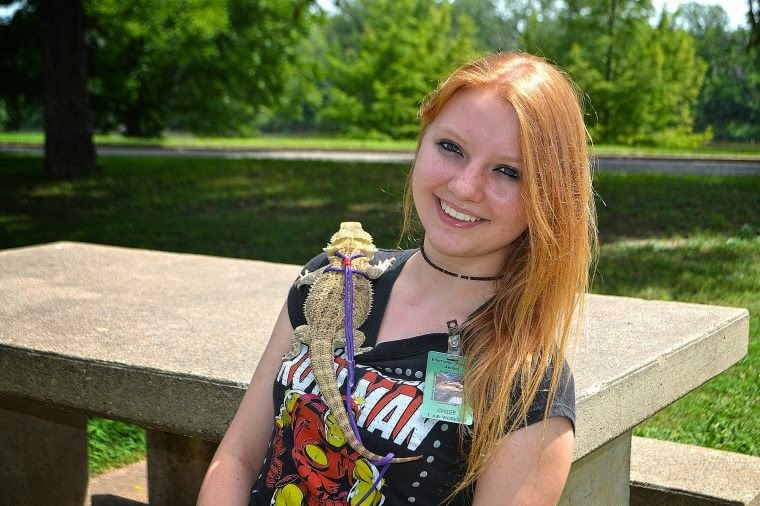 "Ever since I was a kid, I've loved all kinds of animals," says the former zoology major. "I feel a kind of kinship with all species. But the last thing we need is some idiot who brings a snake into a restaurant. We have enough trouble with our public image." And as much as Suss enjoys watching TV with one of his more docile pythons in his lap, he doesn't see snakes in a service role. 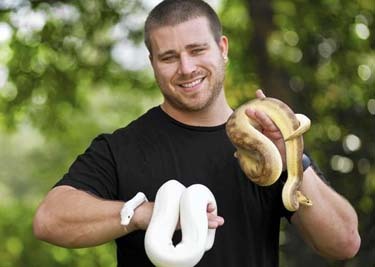 "I have customers who tell me their snakes are 'just like a dog,' but I don't buy it," he says. "They do have individual personalities, but most of their brain is devoted to just surviving. You may be attached to them, but I don't see them becoming emotionally connected to you." That's not to say a snake — or a range of other creatures — can't provide comfort or emotional support. It just means they don't have the same rights as service animals. demand to take it wherever they go. Ever heard of Salmonella? "Much of our relationship with animals is our projection anyway," says Alan Beck, director of the Center for the Human-Animal Bond at Purdue University. "You believe that your golden retriever is listening to you, and you interpret this as love. We humans are social animals, and we need social support." 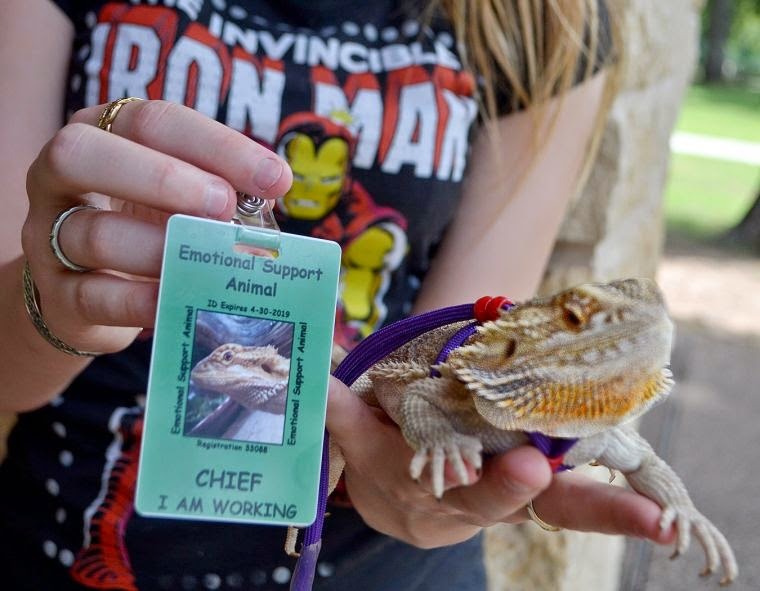 Emotional-support animals — also called therapy animals or comfort animals — do have limited legal standing. doesn't mean it's a "therapy" pet. 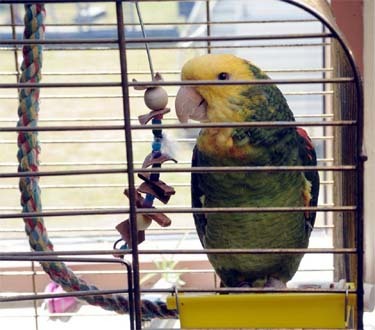 According to Pet Partners, a 40-year-old national nonprofit for owners of therapy animals, such pets must be prescribed by a licensed mental-health professional for a person with a mental illness and can only accompany their owners in public areas with permission from the facility's owners or managers. But they can live in apartments, regardless of a "no pets" policy. 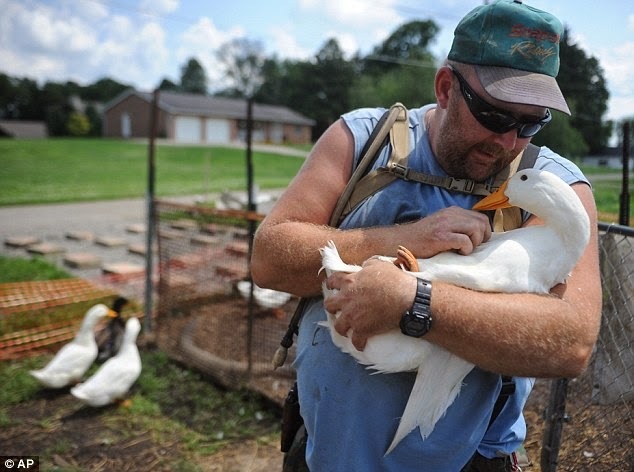 "Any animal has the potential to be therapeutic," says Marrinson, the veterinarian. "From a neurochemical standpoint, attachment is attachment. When it comes to the neurological response of caring for another creature or getting some attention back, I'm not sure it matters if it's a dog or a rat or an iguana. We love them, and we totally grieve for them when they die." SOUTH CAROLINA -- A pit bull attack on a pair of sisters on Tuesday has relatives making arrangements for what is expected to be a lengthy recover. Ann Dixon, sister of Alice Teresa Wells and Angela Williams, said the attack happened while Williams was visiting Wells on Tuesday. "We really don't know what set the dog off," Dixon told WYFF. "One moment it was licking Teresa's fingers, and then the next it was attacking her." Dixon said the dog belonged to Williams and had snapped at Wells two weeks earlier. "Angie and her boyfriend were visiting Teresa when it happened," Dixon said. "They thought it seemed unusual but didn't think much of it afterwards." Williams is expected to fully recover with physical therapy on her left arm, Dixon said. The dog ripped the arm from the shoulder to the wrist and left Williams with multiple broken ribs. Wells' injuries were more extensive -- including a severed left hand, deep bites in her right palm and dozens more on her right leg. 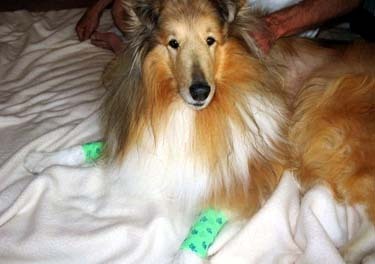 "The dog ripped off about 99 percent of her left hand. The first surgery removed it completely," Dixon said. "Her second surgery removed the rest of the arm halfway to the elbow." Wells was left-handed, her sister said. As the family anticipates a lengthy recovery, relatives are caring for Well's 5-year-old grandniece, who spent most of her time at Well's home. "Everyone's pitching in to help," Dixon said. The attack has led to a role reversal for Wells, who cared for her mother for 30 years until her death after a stroke left half of her body paralyzed. "Teresa will have to learn to do everything all over again," Dixon said. 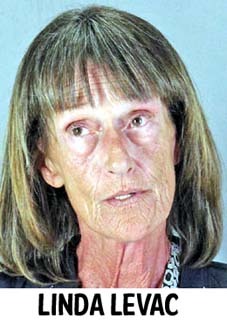 CALIFORNIA -- A 65-year-old Burlingame dog sitter pleaded not guilty Thursday to a misdemeanor animal cruelty charge Thursday, according to the San Mateo County District Attorney's Office. 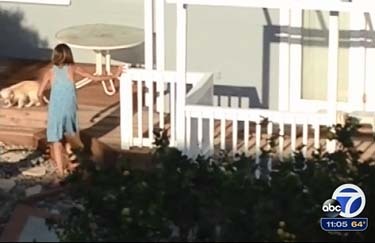 Linda Levac was allegedly seen and recorded on video by a neighbor in the backyard of her Burlingame home grabbing a dog by its collar, lifting it in the air and slamming it to the ground multiple times, prosecutors said. When Levac lifted the dog, named Frisco, it was apparently choking and when she slammed it to the ground it yelped in pain, according to prosecutors. Peninsula Humane Society & Society for the Prevention of Cruelty to Animals investigators went to Levac’s home on Aug. 5 and seized 10 dogs and also determined Levac was running an unlicensed dog boarding business, prosecutors said. PHS/SPCA officials released the video of Levac and Frisco to the media last week and the next day got a call from the owner of Frisco, a 12.5-pound male Chihuahua mix, according to prosecutors. Frisco’s owner said she paid Levac to watch the dog for about a week when the alleged abuse occurred. PHS/SPCA staff examined Frisco Sunday and found it unhurt, according to prosecutors. Levac did not appear in court Thursday and defense attorney Robert Courshon made the not guilty plea on her behalf, which is allowed in misdemeanor cases, District Attorney Steve Wagstaffe said. Staff with the District Attorney’s Office said they filed the case Wednesday and a $10,000 warrant for Levac’s arrest was issued. Levac surrendered to authorities and they released her on a $10,000 bond. A call to Courshon was not immediately returned Thursday. 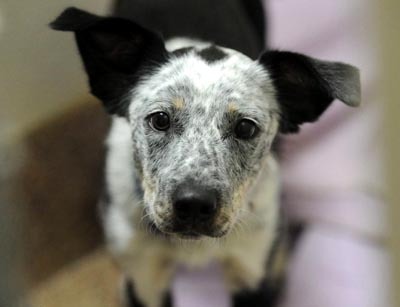 ARKANSAS -- A Sherwood man been sentenced to four months in jail for cutting off the ears of his 2-month-old puppy. 55-year-old Jose Reyes Navarette was sentenced and fined $3,000 Thursday. 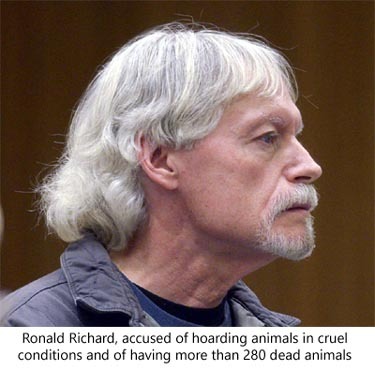 He had pleaded guilty to aggravated animal cruelty. The Boxer - Chow - Newfoundland mix was found by Sherwood Animal Control in March 2013 in Navarette's yard. Navarette has given multiple explanations for why he cut off his puppy's ears. Navarette was also ordered do 300 hours of community service and pay restitution to the veterinarian who treated the dog and has since adopted it. 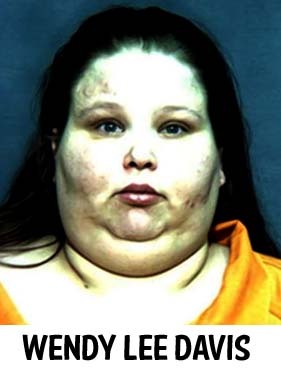 ALABAMA -- A Columbia woman pleaded guilty to child endangerment four months after authorities found her young son living in a mobile home containing maggot-infested food, drug paraphernalia and animal feces. Wendy Lee Davis, 33, was sentenced Wednesday to a one-year jail sentence, which was suspended for two years of probation, the Dothan Eagle reported. 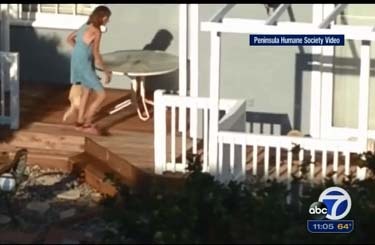 A misdemeanor animal cruelty charge was dismissed. Davis also has to pay a $250 fine and court costs. Columbia police discovered the conditions in Davis' home after serving a search warrant in early April after two of her dogs allegedly attacked a neighbor. 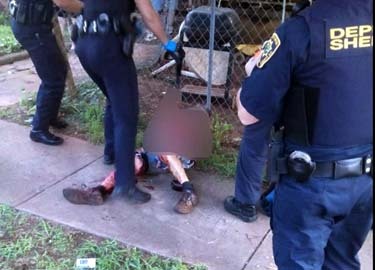 The neighbor suffered 40 dog bites and was hospitalized for three days. 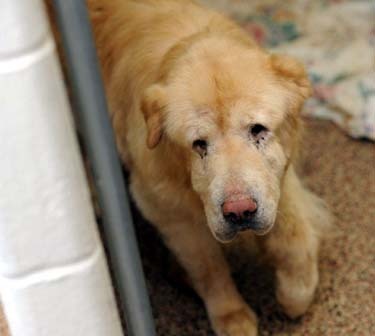 The dogs were seized and euthanized. No charges were filed related to the attack. During the search of the mobile home on South Washington Street, police found food covered with maggots and flies, animal feces from seven puppies and drug paraphernalia. 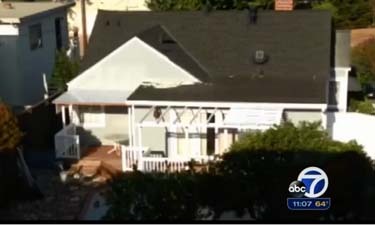 Police found the conditions to be unfit for a child to live in. The puppies seized from the home were turned over to the Humane Society. Houston County Department of Human Resources put together a safety plan for cleaning the residence before the child could be returned to the care of his mother. WEST VIRGINIA -- Washington County Deputies arrested a Marietta woman on animal cruelty charges Wednesday. 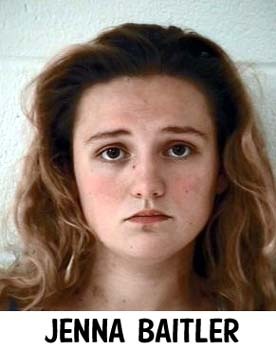 20-year-old Jenna Baitler is charged with failure to register a dog and two counts of cruelty to animals. The Sheriff's Office calls Baitler's home deplorable. 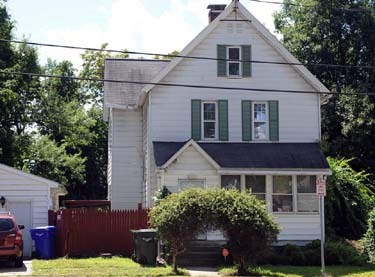 They found trash, animal feces and hay throughout the home. Officials say two of the dogs were starving and their bones showing. 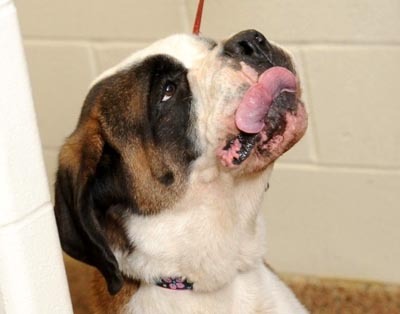 In an effort to get water, officials tell WTAP, a 10-month-old Mastiff bit a faucet and flooded the apartment. A cat also lacked nutrition. Deputies say the apartment did not have cat food or a clean litter box. Additionally, a hedgehog had to be euthanized. 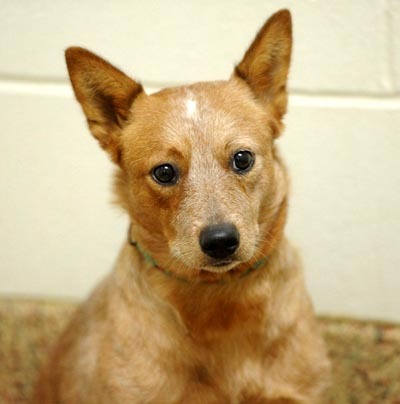 The two dogs and cat were taken to the Humane Society of the Ohio Valley. 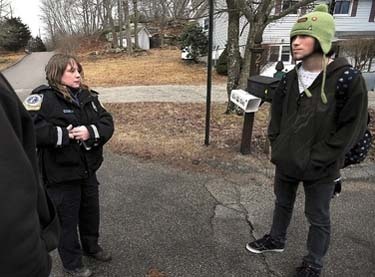 MASSACHUSETTS -- The MSPCA filed a criminal complaint in District Court on Friday charging a couple with multiple counts of animal cruelty after an inspection Aug. 11 at an Allen Street home led to the discovery of approximately 280 dead animals stored in refrigerators and freezers and 127 other animals living in squalor, according to the state's report. 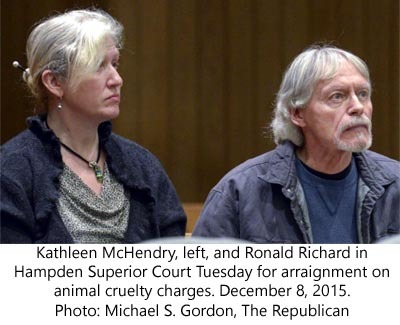 Kathleen McHendry, of 402 Allen St., which was the location of the animals, and Ronald Richard, listed by the MSPCA as a co-occupant of the Allen Street address, were each charged with 11 counts of felony animal cruelty, according to the court complaint. Both are living elsewhere as the house was condemned and ordered vacated by the city. The two are scheduled for arraignment on Oct. 9 at 9 a.m. in District Court. Daniel Gelb, listed in court records as McHendry's lawyer, could not be reached immediately for comment. Rob Halpin, a spokesman for MSPCA-Angell, said there were just 22 charges in total, which is geared to pursue the "most proveable" charges. 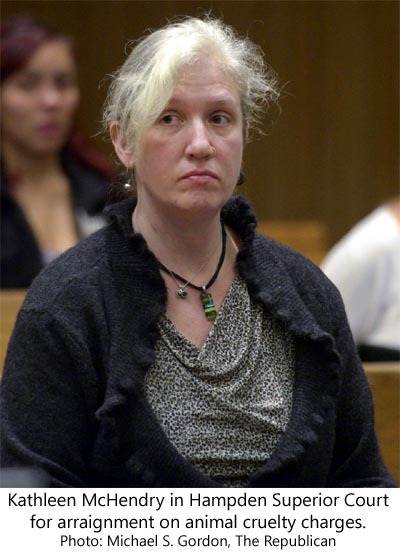 Meanwhile, McHendry called herself a "fantastic animal care giver," according to an MSPCA investigation report filed with the court. 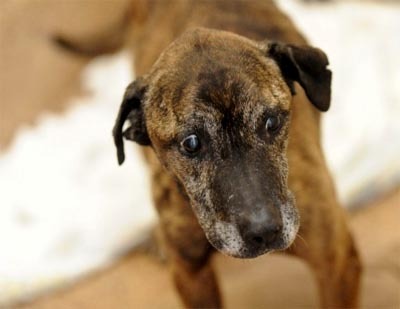 If convicted, a single count of felony animal cruelty carries a penalty of state prison of not more than seven years or at a house of correction for not more than 2 ½ years, or a fine of not more than $5,000, or fine and imprisonment, according to guidelines. 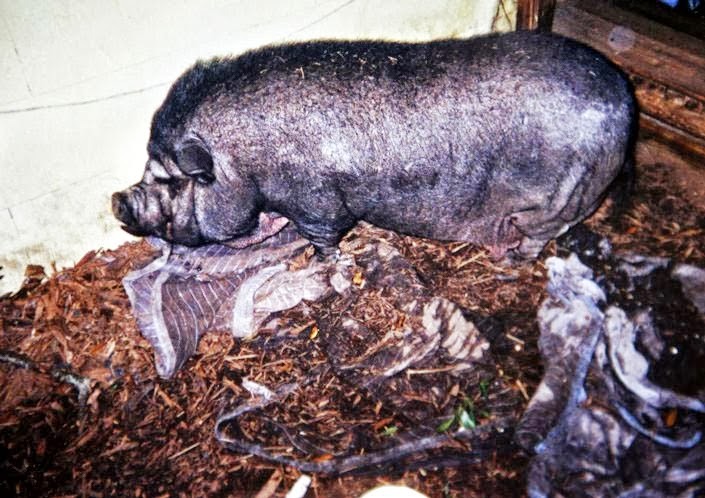 A report filed with the court by MSPCA Officer Christine Allenberg describes the conditions found by herself and city inspectors on Aug. 11 after receiving an anonymous complaint about there being a large number of animals. The state report described filthy conditions and numerous animals inside and outside the house showing signs of illness and injury. "When we entered the home through the front door the stench of urine, feces, filth, decay, and skunk was almost overpowering," Allenberg wrote. "My eyes immediately began to burn and breathing became uncomfortable." The animal cruelty charges said the defendants failed to provide a sanitary environment, failed to provide necessary sustenance (food and water), and "inflicted unnecessary cruelty." Staff from the Thomas J. O'Connor Animal Control and Adoption Center and from the MSPCA removed approximately 280 dead animals from the property on Aug. 14, including 65 deceased animals from two refrigerators in the kitchen, and 211 animals from three chest freezers in the garage and on a porch, Allenberg wrote. 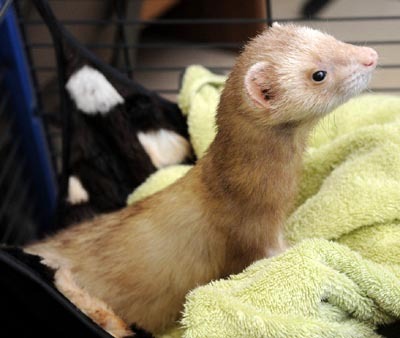 Allenberg said that the live animals that were taken from the home consisted of 92 cats, seven dogs, one parrot, one ferret, 12 raccoons, 13 skunks and one fox. 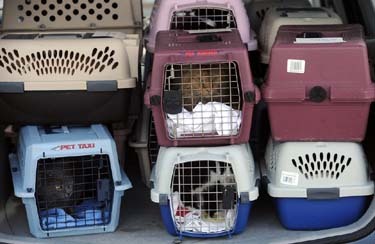 They were taken to various animal control centers and shelters, and many have been treated for illnesses and injuries, officials said. In addition, many of the animals have been adopted, but two dogs were euthanized, officials said. The report describes McHendry as being emotional during the inspection but also defending her treatment of the animals at times. "[Kathleen] McHendry was adamant that she is a fantastic animal care giver and does not need a veterinarian to tend to her animals," Allenberg said. According to the report, McHendry called herself an animal rehabilitator. The MSPCA, in filing 11 counts of animal cruelty, cited animals, it said, "represent the scope and severity of animal cruelty" allegedly caused by the couple. 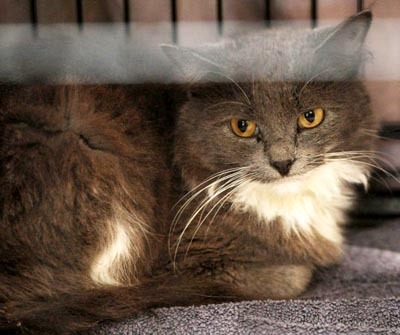 One of the cats, for example, was emaciated "with severe dental disease, ear mites, heart murmur, and a large open, infected tumor hanging from its chest, according to the MSPCA report. Another example cited was a dog "with entropion, chronic ear infections, matting, painful walking, hookworms and difficulty urinating, the report said. 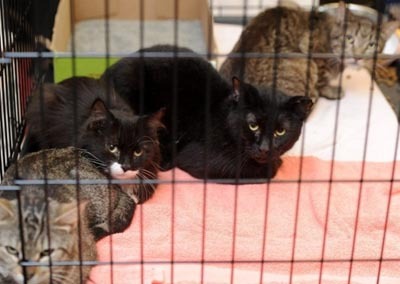 When inspectors went into the kitchen, they were "greeted by approximately 40 cats" and the kitchen was "filthy," and "everything appeared to be sticky," according to the report. 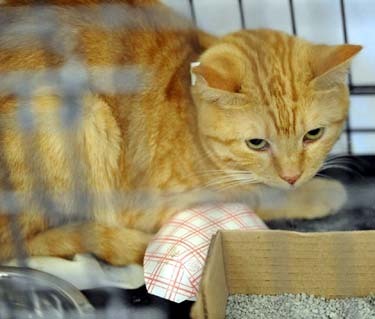 "It was difficult to move without encountering a cat," Allenberg wrote. ILLINOIS -- A central Illinois woman who is facing animal cruelty charges will participate in the first trial in Champaign County history to have six people serving on the jury instead of 12. 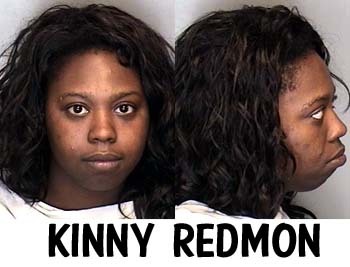 According to our news partners at the Champaign News-Gazette, Kinny Redmon, 24, waived her right to a 12-person jury this week. The use of six-person juries instead of 12-person juries was decided upon as a cost-saving measure. However, defendants will still have the choice to have a 12-person jury, if they wish. "Six person juries are allowed under the law at the request of the defendant. The prosecutor has no say in the issue, just like we have no say in the question of whether a defendant chooses a trial by jury or a trial by judge. "We do not see the 6 person jury as a problem because we have the same number of opportunities to strike potential jurors as we do with 12 person juries. We will try our case the same whether the finder of fact is one person or 6 or 12." Redmon faces charges of aggravated cruelty to animals and animal torture in connection with an incident on June 4. Urbana police say Redmon allegedly placed her ex-boyfriend's puppy into an oven and turning it on, resulting in the death of the puppy. If convicted of the charges, Redmon could serve up to eight years in prison. OREGON -- A former kennel worker in Bend, acquitted of felony animal abuse two years ago, accuses Deschutes County and two police investigators of malicious prosecution that caused her public humiliation. 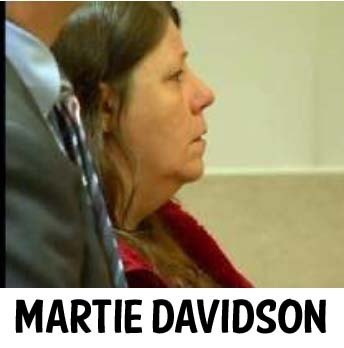 The lawyer for 45-year-old Martie Davidson filed a complaint in Eugene's U.S. District Court, made public this week, which alleges that his naïve client endured false accusations, coercive interrogation, arrest, prosecution and public scorn. Davidson's lawsuit seeks $250,000 in actual damages and unspecified punitive damages. Her complaint names as defendants the county, a sheriff's deputy, an Oregon State Police polygraph operator and the owners of a now-dead Collie named "Zoe" for their roles in violating her constitutional rights, along with libel and slander. Deschutes County District Attorney John Hummel, who took office on Jan. 5, described the prosecution of Davidson as a "straight ahead animal abuse case." He noted that a grand jury handed up a felony indictment against Davidson and that a trial jury acquitted her of all charges. "We accept those verdicts," Hummel said. "I've seen no evidence that this was a malicious prosecution." Davidson took a low-paying job at the Deschutes Pet Lodge in 2008, where she enjoyed stress-free work and time with animals. 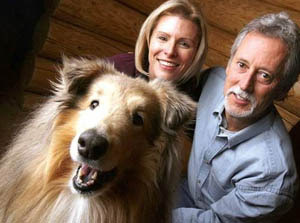 Davidson was employed at the pet lodge in July 2009, when John and Caren Burton brought their Collie "Zoe" in for a stay. On Aug. 1, the Burtons took Zoe to an animal clinic, where a veterinarian determined she might have been struck by a car or suffered a similar trauma. The animal's condition worsened as the days wore on, and an X-ray soon diagnosed Zoe with multiple fractures of six ribs on her left side. According to the lawsuit, the Burtons accused the pet lodge of causing the injuries and they sought publicity to force the district attorney's office to arrest someone at the business. They gave newspaper and TV interviews and started a website. One of Davidson's coworkers told sheriff's Deputy Jennifer Gaspard that he had seen Davidson get upset with Zoe and pull on her leash. Davidson later agreed to take a polygraph, knowing she had not hurt the dog, the lawsuit alleges. On Oct. 29, 2009, state police Trooper Chris Kaber hooked Davidson to the machine. According to the lawsuit, Davidson told investigators that a kennel door might have bumped Zoe, and they convinced her that she caused the dog's injuries without even knowing what they were. "The plaintiff naïvely believed that police officers would not lie and that therefore she must have caused the injuries," the lawsuit alleges. Davidson accuses investigators of providing false information to the district attorney's office to prosecute her. Later, when Davidson refused to plead guilty to first-degree animal abuse, she alleges that authorities piled on new charges of aggravated animal abuse. The charges carried a potential prison sentence of up to five years in prison. The Burtons spread the story publicly that Davidson was responsible for their pet's injuries, libeling and slandering her, the lawsuit alleges. Calls placed to a phone number associated with the Burtons were not returned. X-rays taken in February 2010, nearly seven months after Zoe's stay at the pet lodge, showed that the rib fractures had not healed. In fact, new fractures were discovered on the other side of her ribcage, Davidson alleges. 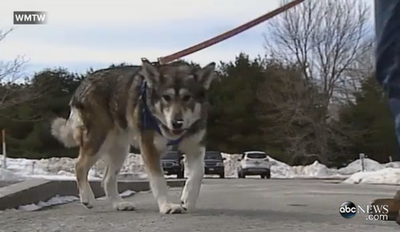 When a veterinarian attempted to repair the breaks with wire, the bones dissolved. Zoe died on approximately June 1, 2010. "At the time of Zoe's death," lawyer Mikel R. Miller wrote in Davidson's civil complaint, "almost all of her ribs had at least one fracture. At this time, no rational person could believe that Zoe's injuries were caused by the actions (to which Davidson) admitted." On Jan. 11, 2013, after a four-day criminal trial, a jury acquitted Davidson of all charges. "Being accused of torturing and maliciously killing an animal caused (Davidson) extreme humiliation and embarrassment, and damaged (her) reputation," the lawsuit alleges. "Knowing she was not that kind of a person, and that people thought she had harmed an animal, caused her to suffer anxiety attacks and made her fearful of going out in public." Davidson moved to the Salem area, Miller said, and suffers anxiety whenever she returns to Deschutes County. MONTANA -- A soft, furry puppy was reunited with its owner Tuesday morning after it got stuck in a drain pipe that runs underneath a Butte church. Father Patrick Beretta looked everywhere in the small fenced-in yard after morning mass at St. Patrick’s on South Washington Street. The puppy, a mastiff named Ysolt after an Irish princess, had just arrived Monday at the Bozeman airport from its former home in Georgia. When Beretta couldn’t find his new and “absolutely adorable” more than 8-week-old puppy, he called police concerned that someone had stolen her despite his two other “very large protective” dogs. Within 30 minutes Officer Patrick Fleming, assisted by Officer Callie Daly and an animal control officer, pulled the scared pup from a 30-foot long drain pipe that stretches underneath the church vestibule. “It’s a good feeling to have something come to a nice end. 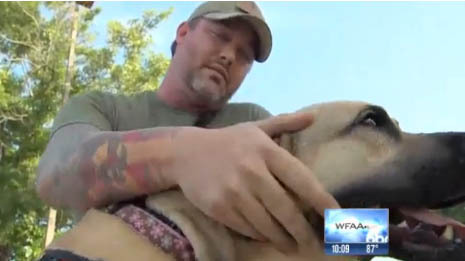 Everything was all wrapped up and he (Beretta) got his puppy back, so that’s a great feeling,” said Fleming. The officers initially searched for a possible suspect and then returned to the yard, acting on a hunch that Ysolt was close by. Beretta said Fleming shined his flashlight inside the mouth of the 12-inch pipe encased in concrete inches above the ground. It was a place the priest had searched before but had not seen his missing Ysolt. 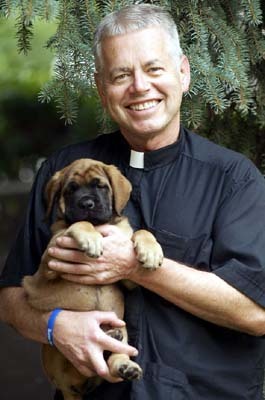 Fleming said the puppy was indeed trapped and he wasn’t sure for how long. An animal control officer arrived to the scene with a catch pole after Fleming and Daly determined they needed assistance in reaching Ysolt. Using the catch pole the animal control officer gently nudged the puppy toward Fleming, who was finally able to reach her and pulled the shaking puppy’s backside toward him. Ysolt’s rescue “made me and my staff very, very happy. He (Fleming) did the right things,” Beretta said. On Tuesday afternoon, little Ysolt was getting reacquainted with playmates Tristan and Cleopatra – also mastiffs -- in the sun-dappled light of their grassy patch. Beretta said the morning’s experience was “wonderful” and gave the officers a thank-you hug. "I was thrilled. I told the sheriff how grateful I was to have his officers,” he said. CONNECTICUT -- Former animal control officer Rae Jean Davis has sued town officials in federal court for firing her in 2013 after she said she filed numerous complaints about impounded animals not being cared for properly on her days off and for trying to stop animals who needed more than $50 of medical care from being euthanized. Davis alleges that after police officials were unsuccessful in trying to force her to resign, they retaliated by investigating her personal and professional lives, fabricating charges and recruiting people to file accusations against her. The suit names the town, former First Selectman Ed Haberek and the Board of Police Commissioners. First Selectmen George Crouse said this week he was not aware of the lawsuit and would not have any comment on it. 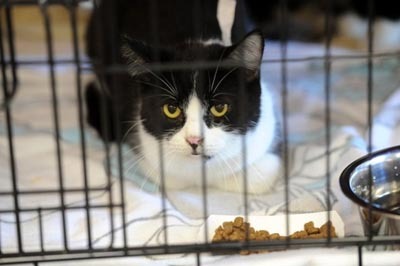 In October 2013, the town fired Davis, in part because officials said she set up her own cat rescue organization and then allegedly lied about her involvement with it when questioned by police. Because she said she grew weary of having to euthanize animals that only needed basic medical care, Davis said she started her own group to help the animals the town would not care for. She said she then found them homes and never charged an adoption fee or required a donation. In her suit, Davis states that beginning in February 2013, she began filing reports with photographic evidence with police that other staff members failed to provide food and water or clean the cages of dogs, resulting in noxious fumes and illness. The police department oversees the animal control facility. She said her contract required her to care for and maintain the animal control facility. She said her concerns were never addressed and Haberek refused to meet with her. She said that after she filed the complaints, police began to investigate a variety of issues involving her, including her personal medical care. She alleges she was fired in October 2013 for excessive medical leave after having knee surgery in June. Davis, who is represented by Groton attorney Donald Williams, said the town also instructed her assistant to ignore her and denied her crucial training. She charges the town also advised a Montville woman who had conflicts with Davis to file complaints against her. Davis alleges that she repeatedly was denied the opportunity for representation when she was questioned by the town about issues related and unrelated to her job. Because the town had argued her rescue group was a conflict of interest, Davis said she was prepared to argue her case in front of the town Ethics Commission but could not because the town has never formed an ethics panel even though it is required by the town charter. MARYLAND -- The Humane Society of Washington County officially filed 15 charges of animal cruelty against Robert Lloyd Baugher, 75, and Christine Wilson Baugher, 68, on August 27th, 2015. On August 19th, 2015 the HSWC was made aware of the cruelty situation by an anonymous call to complete a welfare check of 40 pigeons owned by the Baughers. Field Services Officer Elliot responded to the call and asked to see all animals on the property. Upon her inspection, Officer Elliot found 3 horses that appeared to be in fair condition, but had an insufficient amount of water. 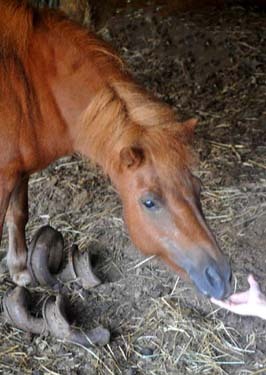 However, three other horses were found with severe hoof growth that hindered the horses’ mobility. “In over 25 years of working in the field on animal welfare I have never before seen horses suffer such cruelty,” said Kimberley Intino, President/CEO of the Humane Society of Washington County. On August 20th, 2015 the HSWC and Days End Farm Horse Rescue (DEFHR) evaluated all of the horses and decided to remove them from the property. On August 21st, the three horses in the most severe condition were surrendered by the owners and removed to DEFHR and given immediate veterinary and farrier care. Upon examination, it was discovered that one of the horses suffered severe ligament damage and was then euthanized. On August 25th, the other three equines were surrendered by the owners and removed from the Baugher property and placed in HSWC foster care. All of the horses required veterinary and farrier attention, including dental care which had not been given to them for 12-15 years. These expenses will be paid by the HSWC, along with feeding and boarding costs until the horses are adopted to other families.